Despite the extreme eye-bags on my face and the number of people telling me how tired I look (always a charming way to greet someone), I’m not tired, I’m not even hungry and I can’t sleep more than 5-6 hours a night. At this stage I think I’m just running on excitement, nerves and anticipation. In a matter of days, the guys from Le Pointu and I are opening our second restaurant! 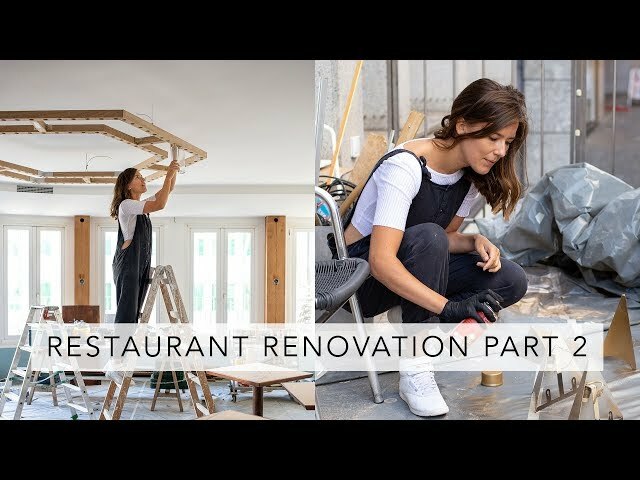 If you haven’t already seen it, I shared my first restaurant renovation vlog on my YouTube channel the other day. We’re about a week away from opening and we’re all buzzing. Well, I am the one jumping around with excitement and crying tears of joy at the sight of a freshly sanded floor. The guys are being very subdued and restrained, and just getting things done. Today, I wanted to share a few peeks into the restaurant as a worksite because as unpolished as it is, there is something quite lovely about a “chantier”. I’ve been wearing the same overalls day in, day out for almost a whole month now – don’t worry they do get washed every other day! My hands are dry and worn from the chemicals and paint. We’ve all developed a strange dry cough from the amount of sawdust we’ve inhaled. And, I have actually woken myself up shouting paint reference numbers. I can’t quite believe that it’s all going to come together in a matter of days. Although it may not look like it, we’ve done all the main work – the electrics, we’ve re-tiled the kitchen, painted all the walls and the ceiling, installed the wood work, re-configured the downstairs area, re-built the bar, plastered over all sorts of things and much, much more. We’re currently locked out for 48 hours while the floor gets sanded, polished and varnished. Once that’s done, we’ll be on the home stretch. I can’t quite believe how much we’ve done in the last 2 months. While things are calm and I have a second to myself, I wanted to take a moment to reflect on what is actually happening. This is the biggest project I have ever worked on. I have made decisions totally outside of my comfort zone and it is all finally coming together. Between the six of us, I love how we come together as a team to get things done and bring the project forwards. I love how much confidence and trust we all have in each other for our specific sectors and how everyone steps up when they need to. I also particularly love how the guys get onboard with my craziest décor ideas. As you know, we made the central light fixture at Le Pointu and I was adamant to make another for this restaurant… call it a signature :). That’s what you’re seeing below – a monstrous wooden framed hexagonal light fixture in which we will wire 132 lightbulbs and subsequently screw in 132 glass bottles. We’ve had help with a lot of things – we’ve had painters, electricians, plasterers, wood workers, floor specialists, kitchen appliance installers, plumbers, etc., in to help and they have all been incredible. But what I think really makes a difference is how much energy and love we are all putting into the space and the things we’re making with our own hands. 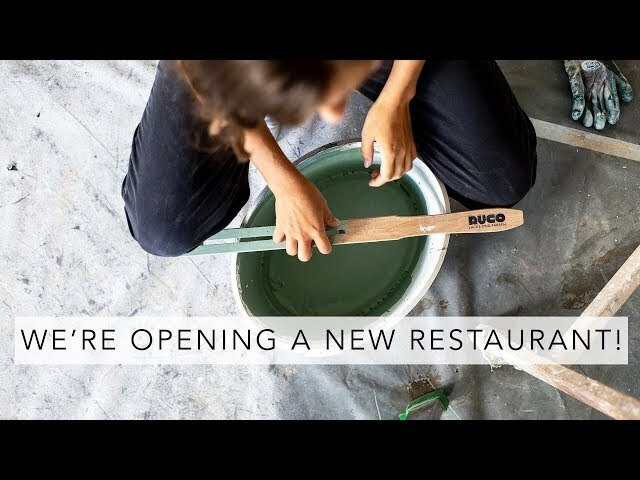 This restaurant is handmade through and through. We’re building tables, painting tables, wiring lights, cutting stainless steel parts for the kitchen, sanding old furniture, sanding skirting boards, cleaning things that haven’t been cleaned in over a decade and working with all of these specialists to make the space functional, homey and beautiful. Now, I know I promote all things handmade and I understand how sewing a quote onto a t-shirt may seem like a trivial pass-time to some, and I myself often joke about the time “wasted” when I spend 7 hours embroidering a watermelon onto a t-shirt, but when I work on a project of this scale and when I see how many things we are making with our own hands, it brings everything together. My intention through every single “handmade” post is to show that absolutely everything in life can be personalised – from a t-shirt, to your career, to your whole lifestyle. Whether you’re making something as menial as a t-shirt or even just adapting a recipe, I so strongly believe that when you make things and see a result, you are given a certain confidence to make, create, personalise and adapt so many other things in your life. I’m not a naturally confident person but I think that’s where absolutely all of my confidence comes from. Anyway, enough of the deep stuff – let’s get back to ladders, pots of paint and dirty paint brushes. We’re meant to be opening in less than a week. I cannot believe it. Tomorrow a guy is coming to stick the logo on the window (that’s always an exciting moment) and we’ll officially be able to walk on the freshly varnished floor and start installing the furniture and finish the wiring of the monstrous light fixture. All of the furniture has arrived and is currently in the cave, except for one delivery arriving tomorrow. I’m so anxious to unpack all of the boxes and see what everything looks like together. I also cannot wait for the moment we get to take down the paper that’s boarding up the windows in the entrance and most of all, I can’t wait to show you the space once it’s finished! Thank you all for all your messages of encouragement for the final stretch and your love on my last video – it means so much to me. 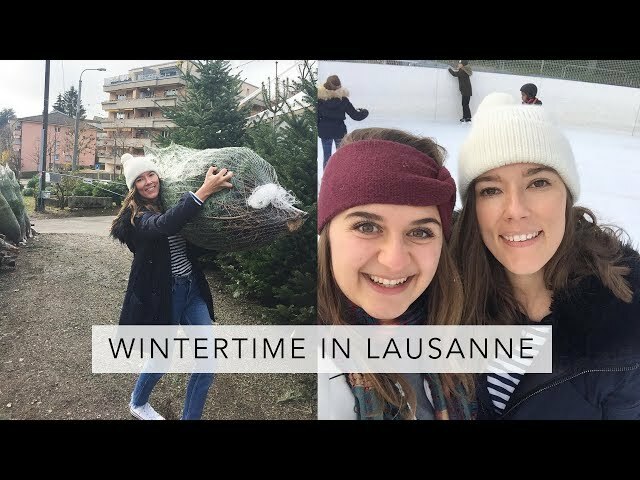 For those of you who might have missed it, I’ve popped the link just below. The before and afters of this project are going to be incredible.